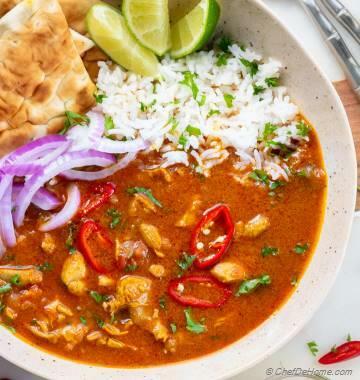 A spicy Red Thai Chicken Curry with homemade curry paste and homemade spice mix. 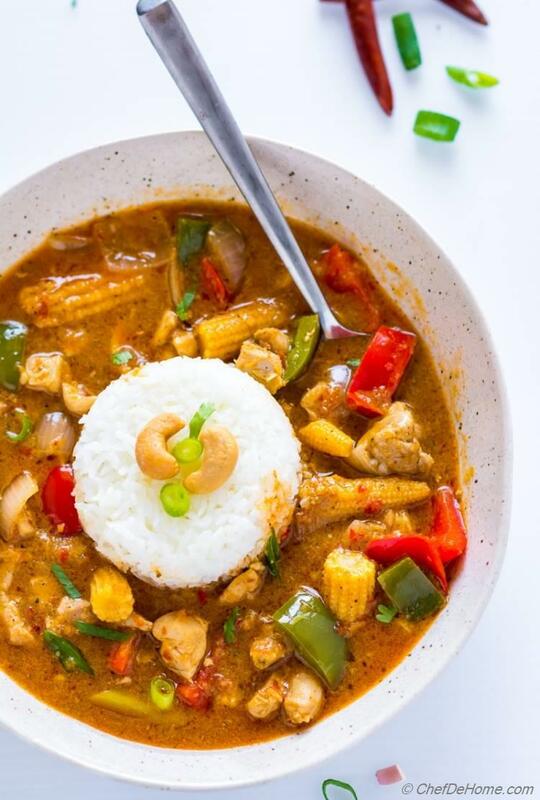 Easy Thai Red Curry dinner with homemade Thai Red Curry Paste. 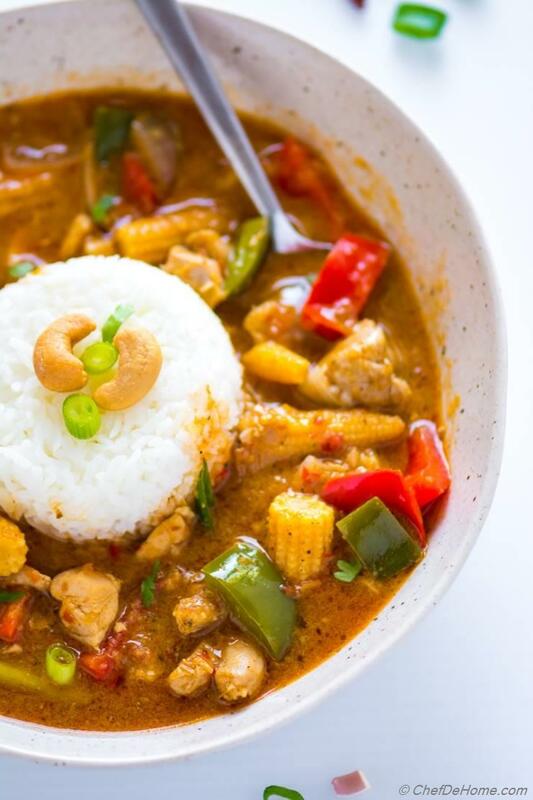 Flavored with sweetness of coconut and dry spices, this Thai curry is a versatile sauce which will make any protein or veggie taste scrumptious! Today, I made Thai Chicken Curry but really you can use any protein or veggies you prefer. Tofu, tempeh, veggies-only, or even seafood will taste delicious in this spiced coconut curry sauce. Gluten Free and Dairy Free. If you choose a veggie protein, it can also be Vegan. 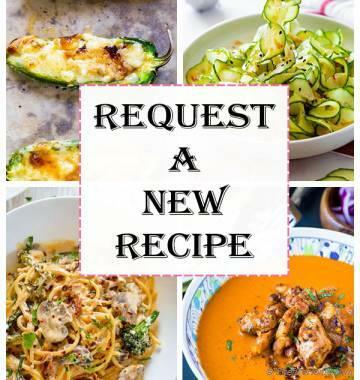 Oh, and don't forget to read notes on how to use this recipe. The paste for this recipe is "Mother Red Curry Paste". It can be used to make many variations. The preparation you see in pictures and in directions is spicy version which is often referred as "Panag Curry" in Thai cuisine. So, let's not wait and dig in! 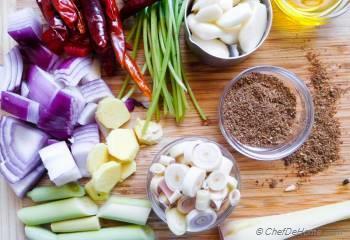 Make some Red Thai Curry! Shall we? I love Thai food! Thai food has spices and chilies which make me very happy. Plus it always is so flavorful with balance of heat and sweet, and of course can be loaded with veggies. What not to like?! Easy Thai Green Curry recipe and Thai Peanut Chicken Wraps are two of my favorite Thai creations! Staple in dinner and in parties! Can't believe I'm going to tell you this.. In terms of balance of flavors, I enjoy Mexican and Thai Food even more than Indian food. OMG! I just said that! Truth is finally out! 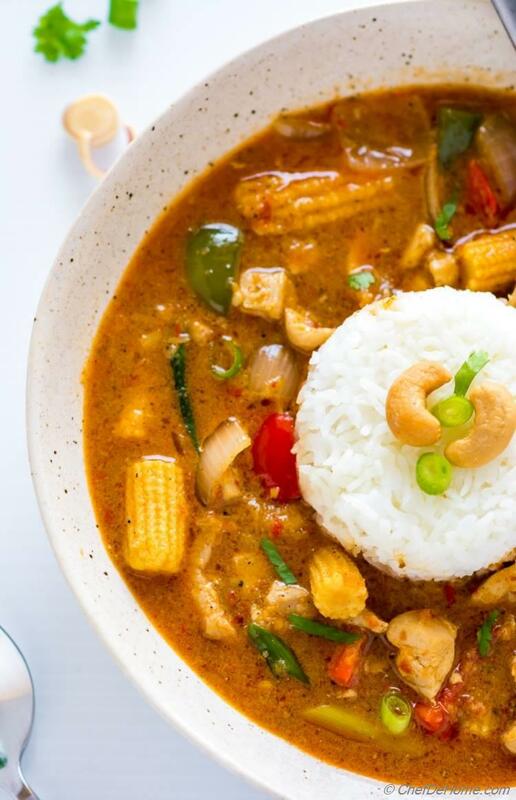 Using a mix of above two, you can make red curry as spicy or mild as preferred. Please note spicy does not mean "hot" as with chili flakes, but spiced. A day before making thai red curry paste, I make sure to buy all the ingredients. 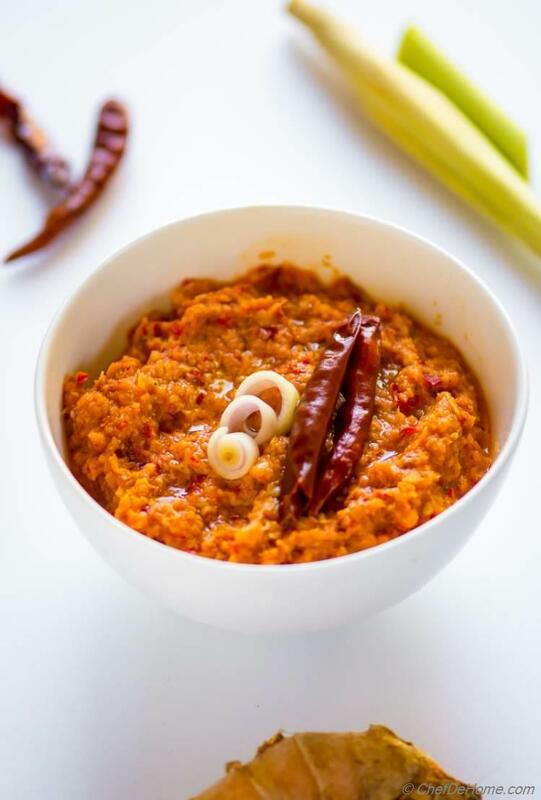 A traditional red curry paste has garlic, red thai chilies, lemongrass. shallots. fresh ginger root (or galangal if you can find), and cilantro. To make the paste, I rough chop all these ingredients and then process in food processor to get a paste. If processor is not able to make fine paste, I add a few tablespoons of oil to help making paste. Oil also act as natural preservative and keeps paste fresh longer. I don't mix in dry spices, used in red curry, while making the paste. You can get max flavor from dry spices by roasting them. If I have all dry spices whole, I like to dry roast'em and then grid using a mortar-pestle or a coffee grinder. Once I have the spice blend, I keep in air-tight container in pantry. I enjoy it best when added fresh while cooking the Thai Red Curry. If you feel it is an extra step. Feel free to mix it in the paste. However, I do recommend following the recipe instructions and using dry spices separately for first time. I can tell you will not like to mix the two ever again. Plus the opportunity to control the spices it offers is priceless in home cooking! 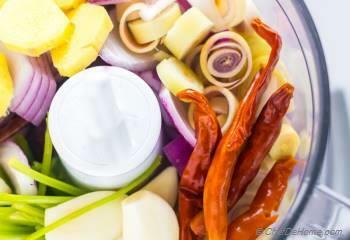 Homemade Thai red curry paste is perfect for making ahead. It can be kept refrigerated for up-to 2 weeks. Can also be frozen in ice-cubes for long shelf life and later use. The red curry paste recipe is complete vegan and gluten free. There is nothing other than few fresh ingredients and spices. Very clean and healthy if you ask me. Also, to make curry, I have used coconut milk which is traditional is Thai cooking. 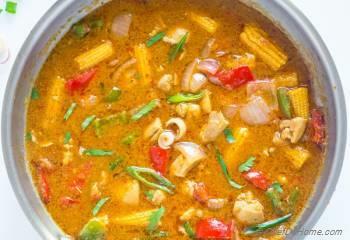 Coconut also gives Thai curry mild sweetness and coconut flavor which is MUST in a good Coconut Thai curry! I like to use low-fat organic coconut milk. 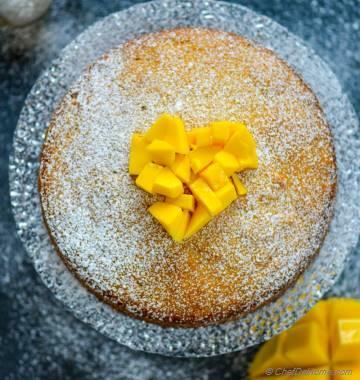 However, any coconut milk will work for this recipe. Just make sure to buy good quality and without preservatives. Once Thai Red Curry paste is ready. And I have picked other ingredients for red curry like coconut milk, veggies, and protein.. Curry comes together in almost same time the protein cooks. 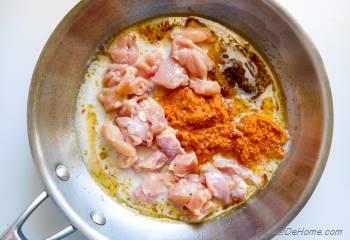 Protein for Thai curry, such as chicken is small diced. So it cooks very fast. Today, I made Thai Curry Chicken with bell peppers, baby corns, onion, and scallion. Baby corn is so traditional to a good Thai curry that I had to find some for post. However, you can use any veggies you like. Broccoli, beans, celery, carrots all go well in this curry. To make Thai Curry Chicken, I start by sauteing the chicken with spices, red curry paste, and little bit coconut milk to develop flavor and also to cook chicken. 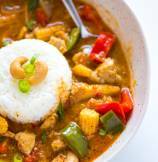 I hope you will enjoy my take on Thai Red Curry. Recipe is easy, and flexible and flavors are so spot-on that you will LOVE cooking a Thai Curry dinner at home! I recommend making paste ahead, and then bring Red Curry to dinner table under 20 minutes any weekday! Always remember, the money and health it saves buy cooking at home is worth the effort! :) Always keep smiling. Updated Jan-08-2018: Try another less-spicy, all-in-one version of Red Curry Paste. 1. 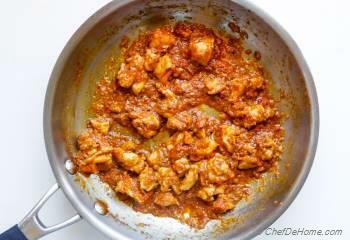 Combine 1/2 tsp black pepper, 1 tsp coriander, and 1/2 tsp cumin. Dry roast for 1-2 minutes or until fragrant but not burnt. Grind to powder. Set aside. 2. 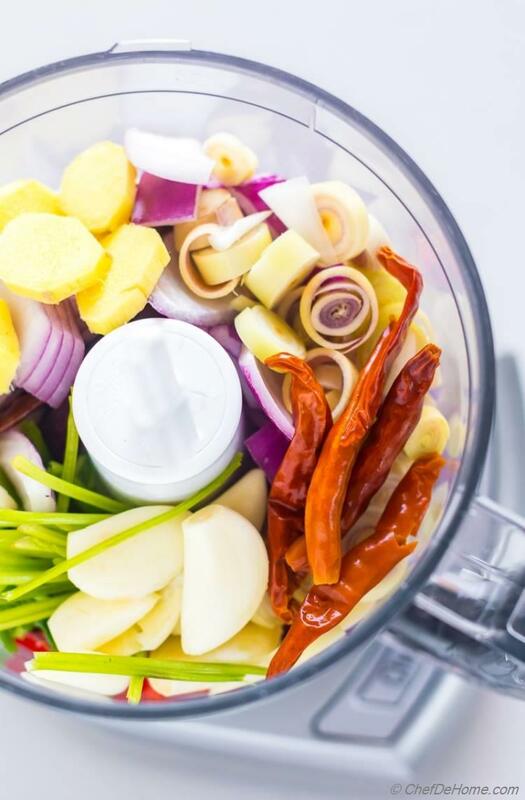 In food processor jar, add rest of ingredients for Thai curry paste including re-hydrated chilies and process to make paste. 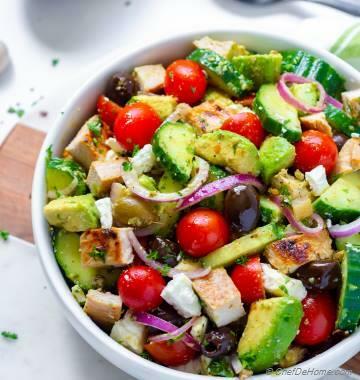 Remove in a bowl, set aside. 1/3 cup paste has good heat. If you like mild, add 1/4 cup. 4. This is how it looks after saute. Now, add diced veggies, lemon grass green part, and continue saute for 1 more minute. Then add remaining 3/4 cup coconut milk, sugar, and 1/2 cup water. Simmer for 5 minutes or until gravy thickens to your liking. Thai curry paste recipe yields about 1 cup paste. I have used 1/3 cup for 1 pound chicken which is good to serve 2-3. You can add more or less per taste. Paste recipe is good for making three times. And so is the spice powder. Easy to Find Ingredient Replacement1) If you can't find lemongrass? Use zest of one lime and 1-2 tsp lime juice for refreshing lime flavor. 2) If can't find Thai red chili? Use any good quality dry red whole chilies. 3) If you can't find fresh Thai red chilies? Use any hot red chili variety such as Fresno chili or even red bell pepper. If chili you using is not very hot, use more of dry red chilies. 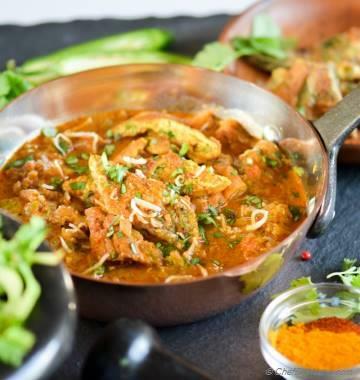 Hi Arpita, I'm glad you guys enjoyed Red Curry! Making paste ahead is pure bonus of this recipe. Curry comes together so quickly! Isn't it? Thanks for sharing your experience with us.